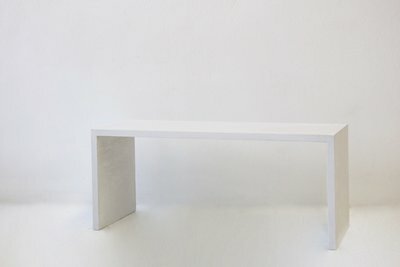 If you are looking for custom, handcrafted and uniquely bespoke concrete, that is truely one of a kind - look no further than New Form Concreting. 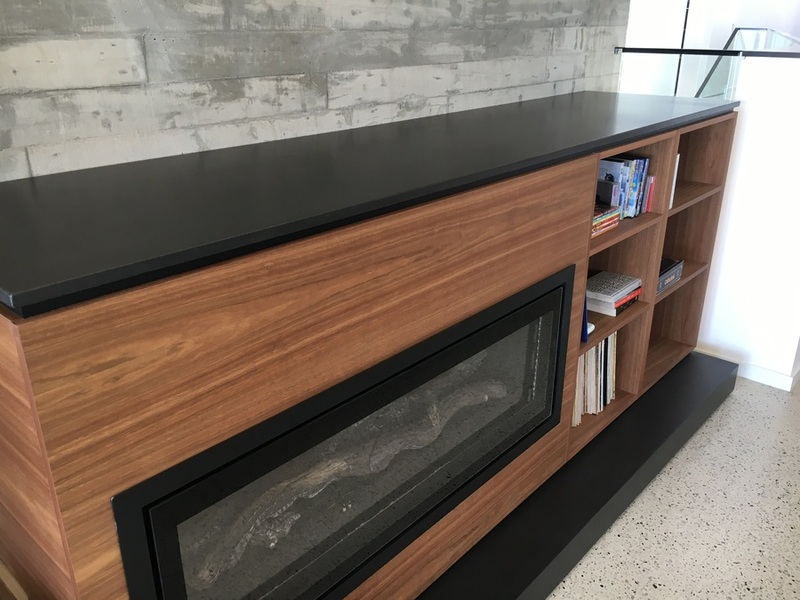 WHAT WE CREATE - We create custom made concrete benchtops, vanities, bathroom basins, furniture, fireplace hearths, seating, outdoor benchtops and more - simply get in touch with us to discuss your ideas. 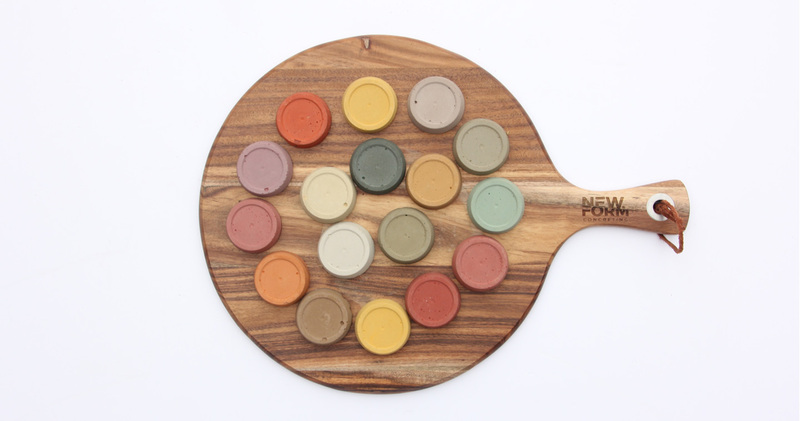 COLOURS & EFFECT - We offer a range of concrete colours, and a number of concrete textures - as smooth as silk, or rustic and full of mottled hues and character. 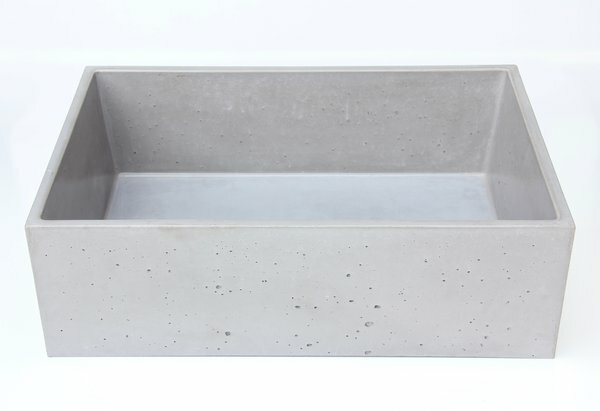 CONCRETE THAT'S EASY - All concrete is manufactured in our factory based in Seaford, so there's no mess and no fuss on-site. HOW DOES IT WEAR? - We create functional and beautiful concrete pieces that are low maintenance, and with a little care, will last you a lifetime. 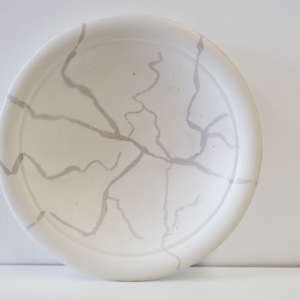 All our concrete comes to you fully sealed, using only the best sealer, we have independently tested this to endure most spills, including red wine, oil, vinegar and lemon - simply wipe off within 12 hours. HOW DO I GET STARTED? Simply send us your measurements, or your plans to newformconcreting@yahoo.com.au or give us a call on 0424640455 to discuss your idea. We will get back to you with a quote, and if you want to see what we do we can arrange by appointment to come to our showroom in Seaford. With a passion for perfection, all projects are completed by some of the industries most experienced craftspeople, your creation is our passion. 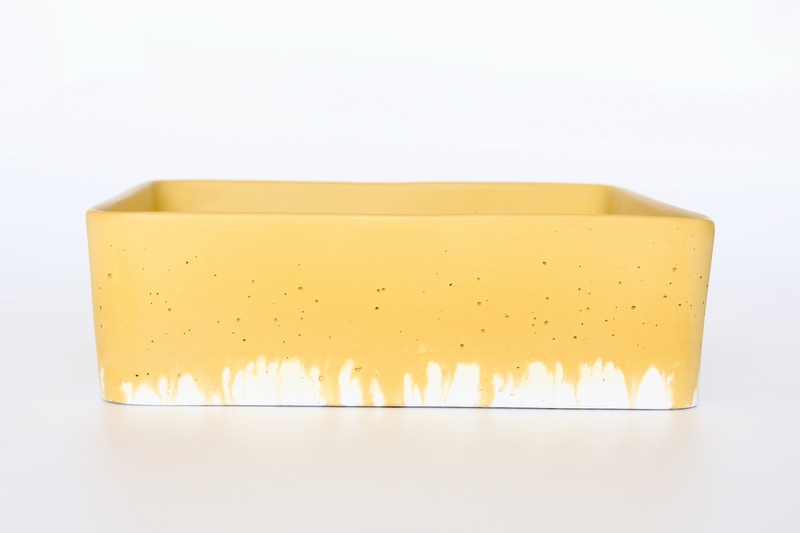 New products, projects and inspiration. 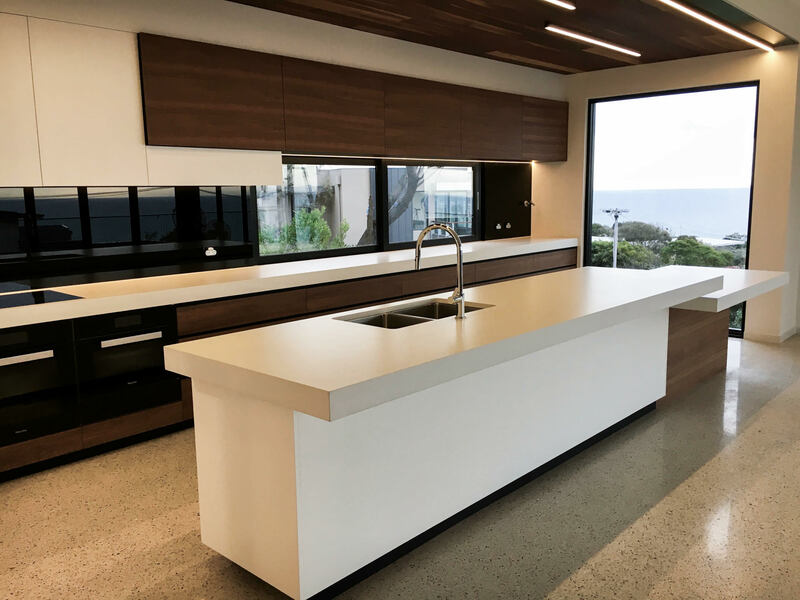 With a passion for design, style, functionality and durability, New Form Concreting pride themselves on delivering the highest quality benchtops that are custom made to your specification and the space you are looking to transform. 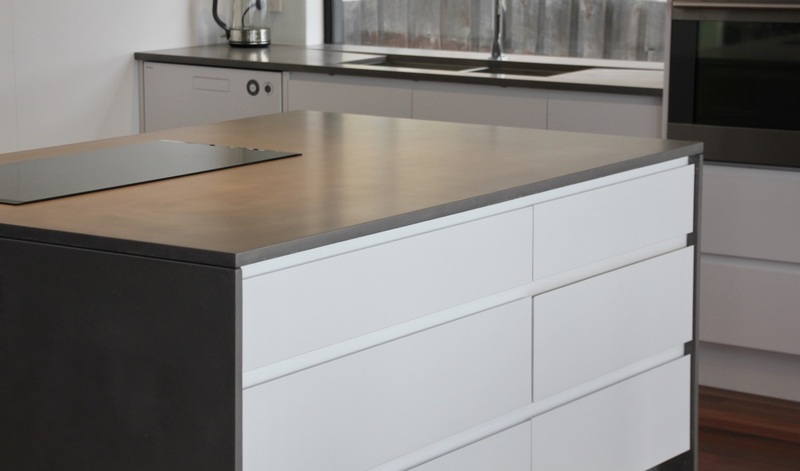 Our benchtops are constructed using GFRC – glass fibre reinforced concrete – a strong and hard-wearing product which allows for thinner and lighter benchtops. 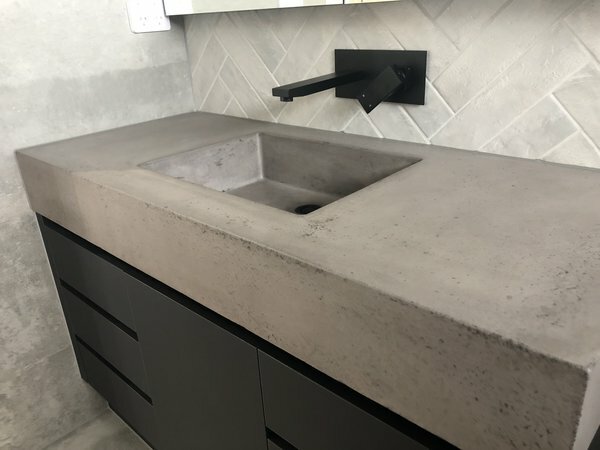 If you are seeking a unique, one of kind benchtop, which adds a contemporary style to any space– look no further than a New Form Concreting. Minimum thickness is 20mm but can have thickened edge to give the illusion of extra thickness and a more industrial look– without the added weight. 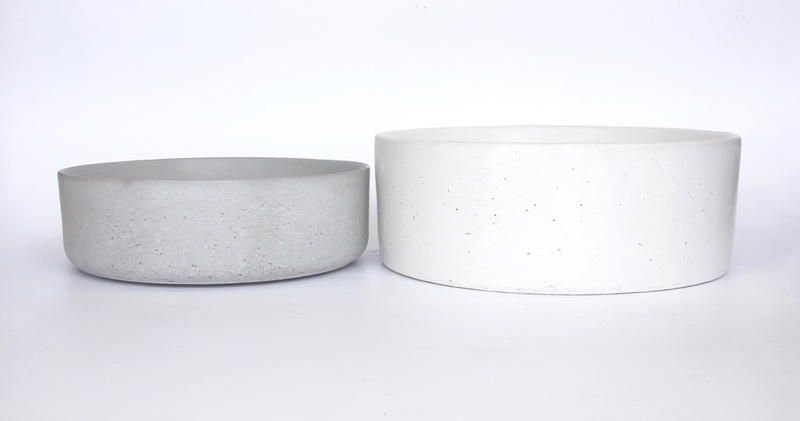 New form concreting make the most beautiful bespoke pieces. 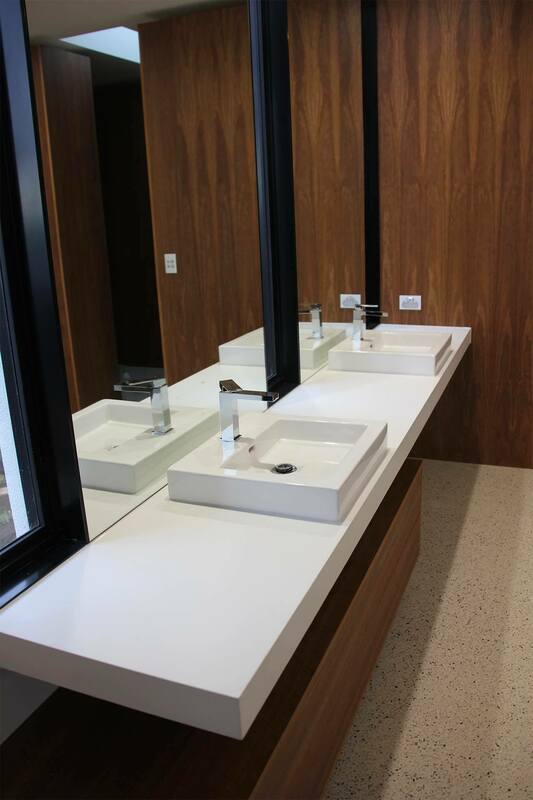 Our bench tops in our bathroom are just stunning and we know they are completely unique. Ben and Daina were so professional and punctual in every aspect of dealing with them from the initial consultation to the install. I highly reccomend them and their work. An amazing professional team with outstanding products I would highly recommend New Form Concreting to anyone!!! Couldn’t be happier with our new kitchen bench tops the outstanding team at New Form Concreting did for us!!! Absolute perfection!!! Highly recommend!!!! Whole experience was perfect. The finish to our dining table is better than expected. Great service and most importantly quality product. 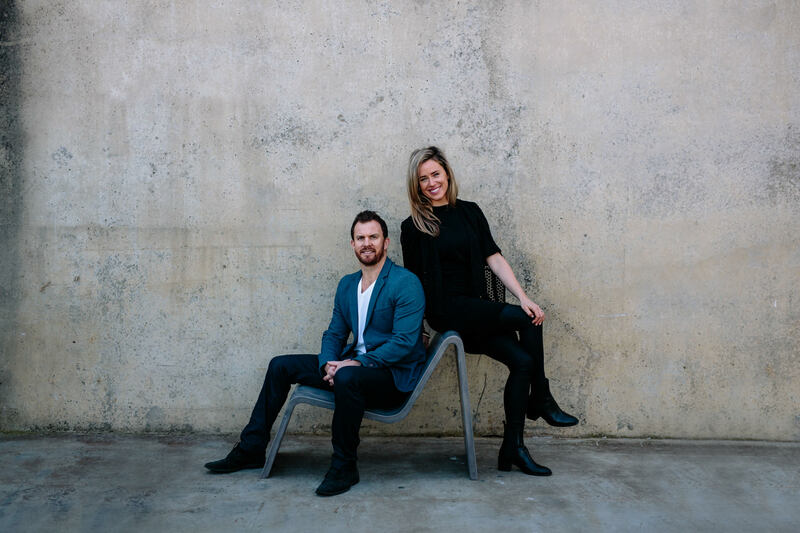 Ben & Daina take pride in ensuring each client is totally satisfied with the final outcome. Attention to detail is of the highest priority. Hand crafted & custom made – HUGE sizes without joins. 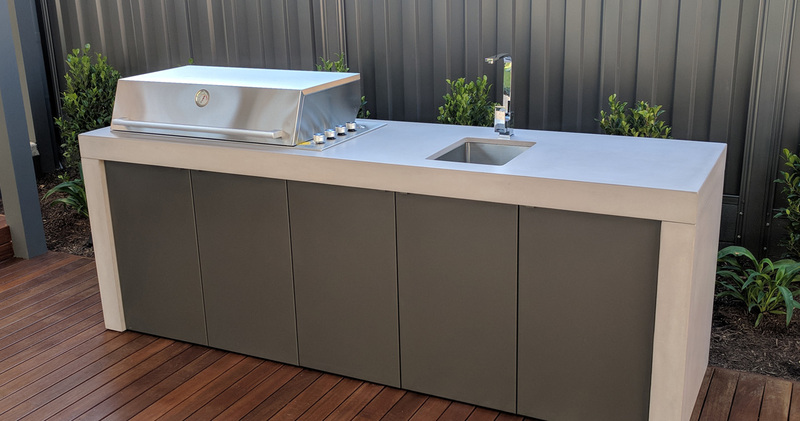 One of the biggest features and benefits of having custom concrete benchtops, is the ability to create a piece at almost any size and any shape. The biggest size we can create WITHOUT join lines is 5.4m X 1.2m, but if you have a the space to get it there – we can create almost any size. Contact us to find out more. 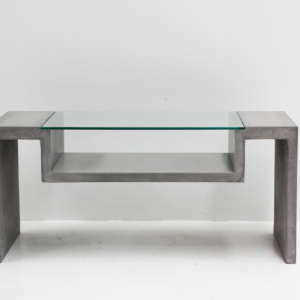 It takes approximately THREE WEEKS to manufacture a hand-crafted custom made concrete piece. 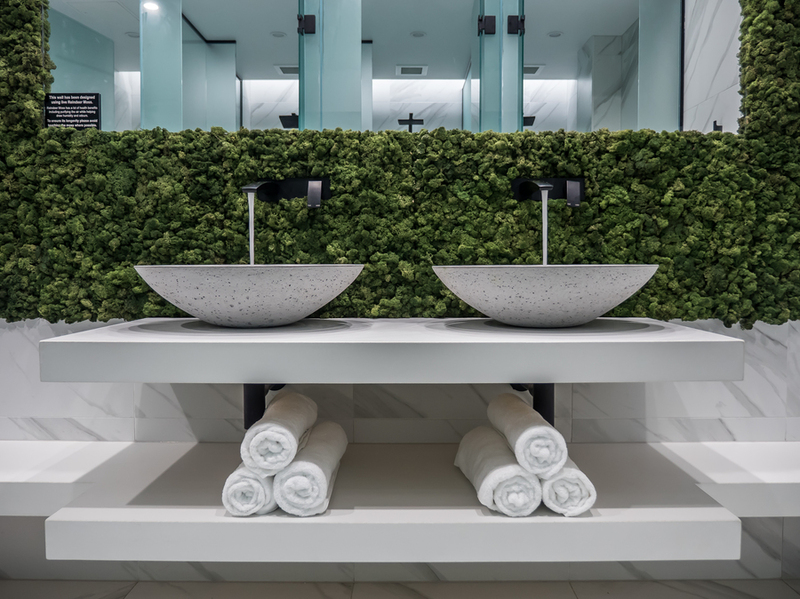 Most clients who choose custom concrete are looking for someone that adds individuality to their space, as well as its natural appeal, durability and uniqueness. This can be achieved whilst adding value to your investment by the creation of our custom made outdoor living areas, kitchen and bathroom renovations and more. If you can Dream it, we can create it – out of concrete!